Gelato has garnered quite a following in Georgia. This perfectly creamy sweet treat is a fan favorite for many who want a healthier alternative to ice cream without sacrificing flavor options. It’s usually lower in fat, sugar, and calories, making it a clear winner for dessert time. Next time you’re craving a sweet treat, check out the 10 best gelato places in Georgia. If you just can’t get enough or have been dying to try it for the first time, you’ll want to get in line at these 10 best gelato places in Georgia. You’ll be tempted by the wall-to-wall sweets here, but you just can’t leave without trying the gelato. Everything Savannah’s Candy Kitchen creates is high in quality and flavor. They lovingly hand-craft their gelato batches and make every bite as good as the one before it. It’s tough to compete in a big city like Atlanta, but Voga does so with ease because of its attention to detail. Every aspect of their gelato, from color to texture to taste to temperature, is pure perfection. Try it plain, on a Belgian waffle, or as a pop—you can’t go wrong. Highly invested in all things cold and sweet, Sarah Jean’s Ice Cream has more than 40 flavors of treats to delight your taste buds. Their gelato looks almost too good to eat, but their fans dig in with pleasure. Their fun, festive atmosphere only makes the experience more enjoyable. Dishing out the most authentic gelato in the city for almost two decades, Paolo’s Gelato is the real deal. He brought this amazing creation straight from Italy to Atlanta in 62 unique flavors, each one bursting with freshness and finery. Grab a scoop or two in store, or take home a freshly-packed quart for later. A local’s favorite hangout, this place is part coffee bar, part restaurant, part bar, part lounge, and part dessert pit stop. Everything they offer is something to rave about, but their gelato has received significant accolades from their customers. The trendy, vintage ambiance will make you want to sit and stay awhile. What started as a food truck dishing out the goods has turned into one of Atlanta’s most beloved gelato bars. Tucked inside the Ponce City Market, their inventive flavors and obvious passion for the stuff keep their fans coming back for more. If you can’t make your way to the store, keep an eye on your grocery store’s freezer. You’ll want to start with dessert first at this upbeat Italian restaurant. 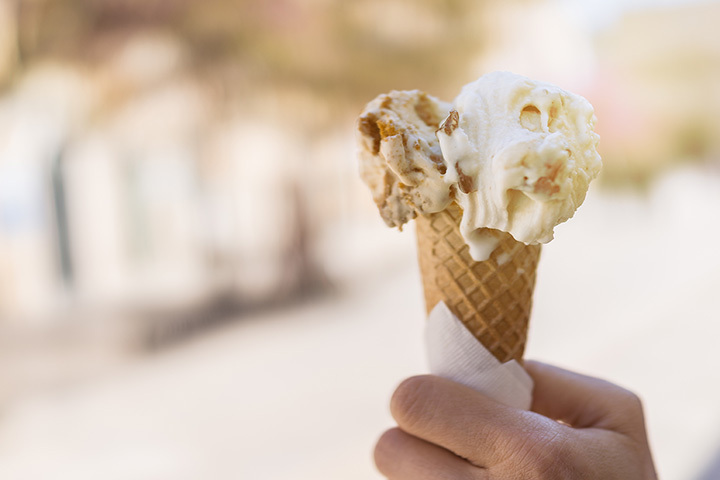 Inside you’ll find 18 flavors of delicious gelati and sorbetti that’s made from scratch daily. They’ve got all the classic fruit flavors, as well as fun favorites like cheesecake or thin mint. You won’t leave a single bite behind. This authentic Neapolitan caffe is as close to being in Italy as you can get in Georgia. Each of their gelato flavors are imported from Bologna, so you know they’re made by true gelato chefs who know how to create best final product. Nestled inside the Avalon community, this place alone will have you making a run to Avalon every chance you get (as if you needed another reason, right?). Situated on Savannah’s historic riverfront, there’s no better spot to indulge your sweet tooth in a tasty gelato. Their customers love the options, but many are particular to their gelato varieties. Their prices are also some of the best you’ll find in town. Technically, their name is Fuse Frozen Yogurt, but that won’t stop you from enjoying a refreshing cup of gelato. They price it by the ounce so you can pay for exactly how much you want and nothing more. It’s the best way to start or end your day at the beach.